Market analysis firm NPD has released its monthly gaming data and included a list of the top 10 best-selling games from last year. So what did people buy the most? Once again, familiar franchises dominated the top spots, with Call of Duty: Advanced Warfare and Madden NFL 15 leading the charge. 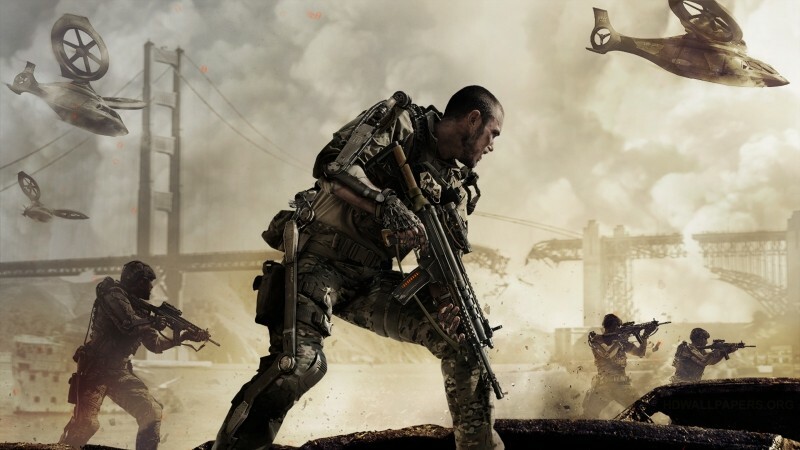 That’s big news for Activision considering Advanced Warfare was only released in November. Ubisoft’s major fall releases like Far Cry 4 and Assassin’s Creed Unity are notably missing, but Watch Dogs made number 8. Bungie’s Destiny ranked third, followed by Grand Theft Auto V and Minecraft in the fourth and fifth positions. The latter finished at no. 9 in 2013 but its release on PS3, Xbox One, and PS4 last year helped it move up the list. Of course, NPD only tracks physical retail across consoles and PCs, and not digital sales, so things might look a bit different with complete sales data. Overall the games industry in the US alone was able to pull in $13.1 billion in revenue for 2014, a yearly increase of 1% from 2013. Broken down by category this is attributable to a 20% jump in hardware sales to $5.07 billion, and a 5% increase in accessory sales to $2.73 billion; both of which offset a 13% drop in game sales to $5.3 billion when compared to 2013. While things might look bleak on the games front, once again without digital sales data it’s hard to tell if there’s an actual decrease or if it’s made up for from more gamers now purchasing and downloading their games online. Check out the full software sales charts for December and 2014 below.